President Trump was a surprise win by many accounts, propelled by working class voters whose eroding employment numbers were ignored or outright derided by Democrats. 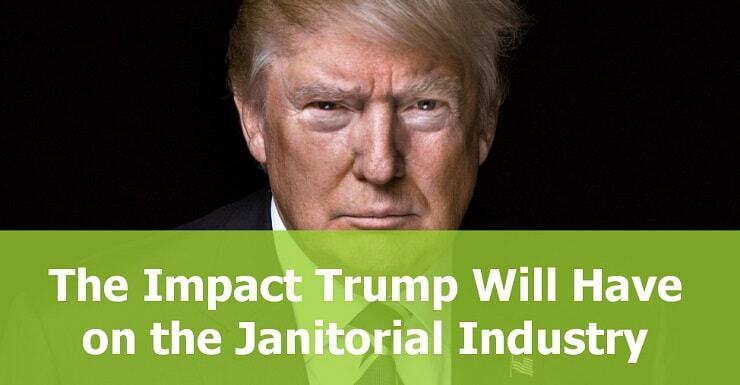 Now that Trump is in office, what impact have his policies had on the janitorial industry? What employment law changes has he passed, and how will this affect the janitorial sector? Overtime Regulations President Trump has already put a hold on the Department of Labor rule altering overtime regulations doubling the threshold of those who qualify for overtime pay from $23,660 to $47,476. The law impacted mid-management employees. While the intent of the regulatory change was to increase the pay of these team managers and department supervisors, companies providing employment in the janitorial industry cannot afford to dramatically increase pay. The end result was going to be busting many front line supervisors and team leads down to hourly status and micro-managing their hours, costing them the schedule flexibility that attracted many to management in the first place. The Franchisee Franchisor Relationship and the NRLB Expect Trump to return the franchisor/franchisee to its traditional definition, the one that existed before the National Labor Relations Board upended it by lowering the standard for joint-employer liability. The Browning-Ferris Industries or FBI case had been decided by the NLRB to make franchisors liable for the actions of their franchisees. It affected everyone from IT contractors to outsourced cleaning franchises. Green Cleaning Environmentally friendly cleaning products and processes will remain in demand by customers. What is likely to change is the mandate per President Clinton’s 1993 executive order that the federal government use green cleaning products. This will eliminate the requirement for janitorial services for federal departments and contractors to use green cleaning products, though it isn’t clear if those renewing contracts with cleaning services can continue to require those products be used. As of this writing, requirements that environmentally sensitive locations like national parks for use of “Safer Choice” products have not changed at all. If federal departments start selecting cleaning products based on cost, this will affect a segment of the market but won’t alter the broader market trend toward green cleaning products. Schools remain free to buy environmentally friendly products or cheaper ones. An indirect result of Trump’s executive order ending the mandate that federal officials consider climate change when making decisions means that VOCs in cleaning chemicals likely won’t matter unless you’re still required to meet California’s tough rules. While Trump rolled back vehicle fuel efficiency standards in March of 2017, there is no expected change in the Energy Star program for appliances like vacuum cleaners. Safety Those working in commercial window cleaning jobs aren’t going to see any changes regarding fall protection, hazard communication, ladder usage and other rules set by OSHA. Even if regulations with regard to safety start to be repealed, your insurance provider will likely reward you for maintaining the utmost safety at the worksite.